History attributes to the friar Pedro Gigante the first ever growing of strains on the island of Pico in the late fifteenth century. The varieties that have adapted best to the archipelago's climate were: Arinto , Verdelho and Terrantez. They continue to be planted in the cracks of basaltic lava and be protected from the salt spray from the sea by the walls of the "curraletas". It's hard work to keep the landscape of the vineyards in the island of Pico the pride of its inhabitants, who made a colossal work recognized by UNESCO as Cultural Heritage of Humanity . The wine, delicately fragrant, fresh and surprising in the mouth is the mirror of a perfect terroir in the middle of the Atlantic that the knowledge of the friars, the hard work of the Pico's inhabitants and the oenology of the 21st century helped become unique in the world. 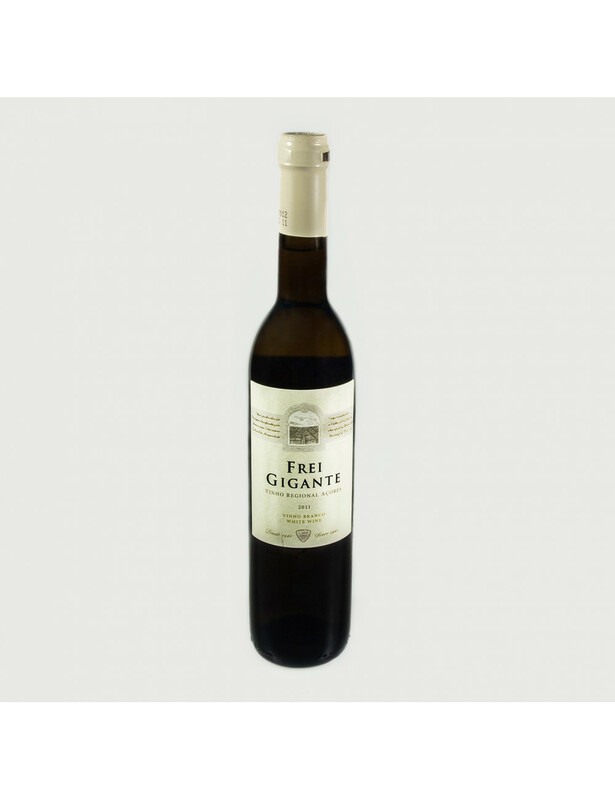 A straw-colored wine with golden tints, with a fruity aroma, slightly toasted with shades of honey and a tropical fruit flavor supported by lively acidity. Intense set with balanced persistence. Suggestions: Serve at 10-12 º C, with fish dishes and meat and soft cheeses. Open the bottle with 5-10 minutes in advance.